SUDBURY - It took a while for the Lincoln-Sudbury offense to click, but once it did it was all over for Acton-Boxboro. The Warriors scored the final nine goals of the game, including six in the third quarter, to roll past their Dual County League rivals 13-3. The win was Lincoln-Sudbury's 45th consecutive victory over in-state competition, a streak that began after the Warriors lost to Acton-Boxboro in the 2014 Division 1 North finals by a single goal. L-S blew this game open midway through the third quarter when the Warriors scored three goals in 21 seconds to turn a 6-3 game into a 9-3 rout. Ward was the spark for the Warriors in the third, but the offense flowed through Hayden Frey all game. The senior attackman had six goals for L-S to pace the offense. Brett Williams added two goals and two assists for L-S.
Lincoln-Sudbury jumped to a 4-1 lead after a quarter before Acton locked down defensively and chipped away on the other end. 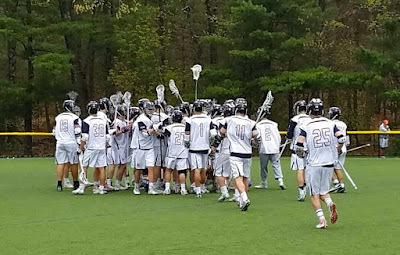 The Colonials held L-S scoreless in the second quarter and cut the gap to two goals just before halftime, thanks to a marker from Jake Erickson. Tim Kuta made it a 4-3 game with a goal 1:27 into the third quarter, but Frey scored 28 seconds later to open the floodgates for Lincoln-Sudbury. For Acton-Boxboro the problem was simply that the Colonials didn’t possess the ball. 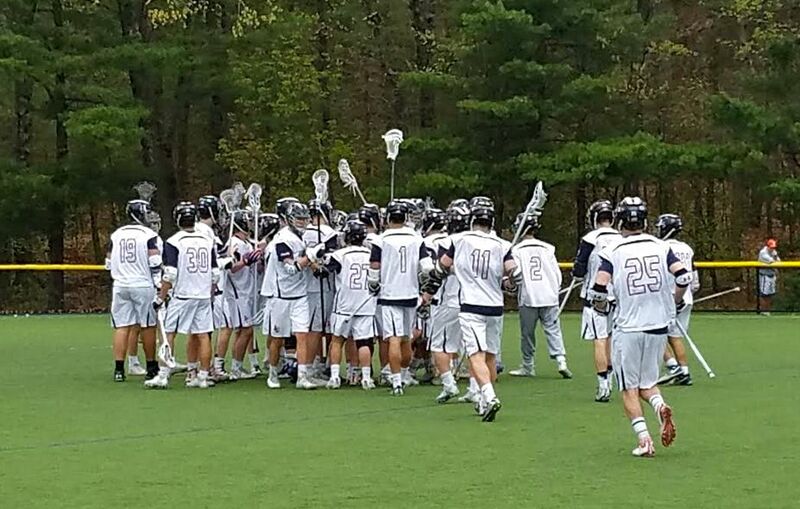 L-S won the faceoff battle 15-9, ground balls 29-9, and were plus-3 in turnovers. The Colonial defense was able to hold off L-S early, but the lack of offensive possession time wore them out. L-S also outshot Acton 12-1 during its big third quarter. When Acton was able to possess, the Lincoln-Sudbury defense made life difficult for the Colonials. L-S forced 19 Colonial turnovers, which in turn generated offense in transition. Longpoles Brendan Trovato and Peter Rizzotti both jumped in on the attack and scored goals for the Warriors. Despite taking the loss Acton-Boxboro goalie Tim Fenniman looked sharp in making 10 saves. L-S goalie Trevor Van Leer turned aside seven shots himself.